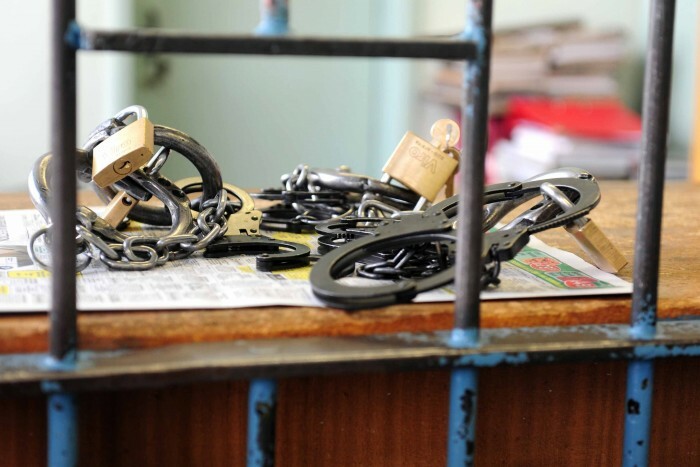 A total of 433 suspects were arrested for various crimes in the eight police station precincts in the Mitchell’s Plain police cluster in Cape Town. “For the past week police in [the] Mitchell’s Plain cluster clamped down on criminals in their policing precinct,” Western Cape SAPS spokesman Captain FC van Wyk said in a statement. A total of 86 houses were searched and 433 people arrested, of which 203 were arrested for cases relating to the possession of illegal drugs. These drugs included tik, heroin, mandrax, and dagga, he said. Police also clamped down on illegal liquor outlets; nine operations were held with five suspects arrested on liquor-related charges. A total 526,930 millilitres of liquor were confiscated by the Grassy Park and Steenberg SAPS. Twenty-six Integrated policing roadblocks were held throughout the cluster and fines to the amount of R11,300 were issued with five arrests. Nineteen suspects were arrested for crimes against woman and children, Van Wyk said. Police in Mitchell’s Plain confiscated three firearms and arrested four suspects for illegal possession of firearms and ammunition, as well as possession of a prohibited firearm. Two stolen/hi-jacked vehicles were recovered in the cluster and two suspects arrested for attempting hi-jacking and one for business robbery in Lansdowne precinct . A total of 31 suspects were arrested on warrants of arrest for various crimes during tracing operations. Others were arrested on charges relating to assault, robbery, fraud, drunk driving, possession of suspected stolen property, housebreaking and theft, murder, and armed robbery, among others, he said. Police also engaged with neighbourhood watches while patrolling in their respective areas. Street and court committees were actively involved in the continuous fight against crime, Van Wyk said. Cluster commander Maj-Gen Gregory Goss said police would continue clamping down on crime and the perpetrators, and would maintain a zero tolerance approach to crime. “Strengthening the partnership between the community and the police is high on the agenda, as it is contributing to reducing crime and the apprehension of perpetrators thereof,” he said. Goss thanked officers under his command and the respective communities for a job well done during the past week.